Is Chattanooga the next great place for venture capital and entrepreneurs? 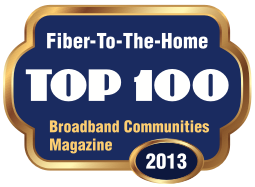 Here is a brief video produced by Alcatel-Lucent on Chattanooga's fiber initiative. One of the people interviewed is a venture capitalist who has settled in Chattanooga, which is worthy of some notice--lack of capital is one of the biggest problems that many regions face when trying to jump start economic development. Most new jobs are created by small business START UPS, not existing small businesses, and start up businesses need angel and VC capital to create those jobs. Tennessee legislators just passed a law making it illegal to transmit an image that could "..frighten, intimidate or cause emotional distress" to someone who sees it." And the person who suffers "emotional distress" does not have to be the person you sent it to. Suppose you send out a picture of a cat hanging desperately from the branch of tree to a friend. That friend forwards it on. Twenty forwards later, some cat lover sees it and is emotionally distressed that the poor cat is in danger. They look at the original sender of the email, report it to Tennessee law enforcement, and bingo, you are put in jail for a year and fined $2500 (you would have to be a resident of Tennessee). Who writes comes up with these laws? Did they even think to ask a lawyer who specializes in constitutional law for an opinion? The City of Chattanooga, Tennessee was recently selected by the Intelligent Community Forum as one of the Top 7 Intelligent Communities worldwide for 2011. This article by Robert Bell of ICF provides some of the back story and the amazing success of Chattanooga over the past couple of decades. By the late sixties, Chattanooga, once a thriving manufacturing town, had the dirtiest air in America and was beginning to lose jobs. Despite heavy investments in urban renewal in the eighties and nineties, the city was not attracting jobs. But over the past ten years, as the City-owned electric utility began to invest in fiber, companies and jobs started to follow, and the pay off has been huge. Chattanooga won a Volkswagen manufacturing plant in part because of the city's investment in fiber. The city fiber is also being used to provide Smart Grid electric metering, which will lower utility costs for businesses and residents. Via the excellent Community Broadband Networks, the City of Chattanooga's Electric Power Board is going to roll out fiber-delivered Internet as part of the utility's triple play services (voice, video, and Internet). Customers will be able to purchase symmetric Internet access packages with speeds up to 150 megabit/second (again, symmetric). The importance of this kind of service can't be overstated, as it enables the delivery of business class services anyway in the electric utility service area. Chattanooga gets it--they want to keep the businesses they have and they want to attract new businesses, and they recognize that 21st century infrastructure is the way to do it. Cities and towns that keep ignoring the growth in community broadband projects are being left behind with respect to economic development, and it will become harder and harder to catch up. Tennessee legislators have done a very simple and very smart thing. They have passed legislation that allows small electric cars with limited speed (e.g. up to 35 mph) travel on roads where the posted speed limit is 40 mph. This may not sound like a big deal, but it is, as it opens the possibility for a lot more people to purchase small electric cars (think "golf carts with doors") and use them for around town commuting and errands. These small cars are inexpensive, economical to operate, and don't use a drop of gas. With the right attitude at state and Federal levels, they could contribute to a significant reduction in the use of imported oil over time. Every state should adopt a version of this law--according to the article, only three states (Tennessee, Montana, Washington) allow this use right now. At the Federal level, relaxed licensing and safety standards would also accelerate the use of alternative energy vehicles. A car that can only go 35 mph does not need to meet interstate highway safety standards.